Today we have a blog hop featuring the Close to My Heart Art Philosophy Cricut Collection. If you have already started, you should be coming from Eva’s blog. 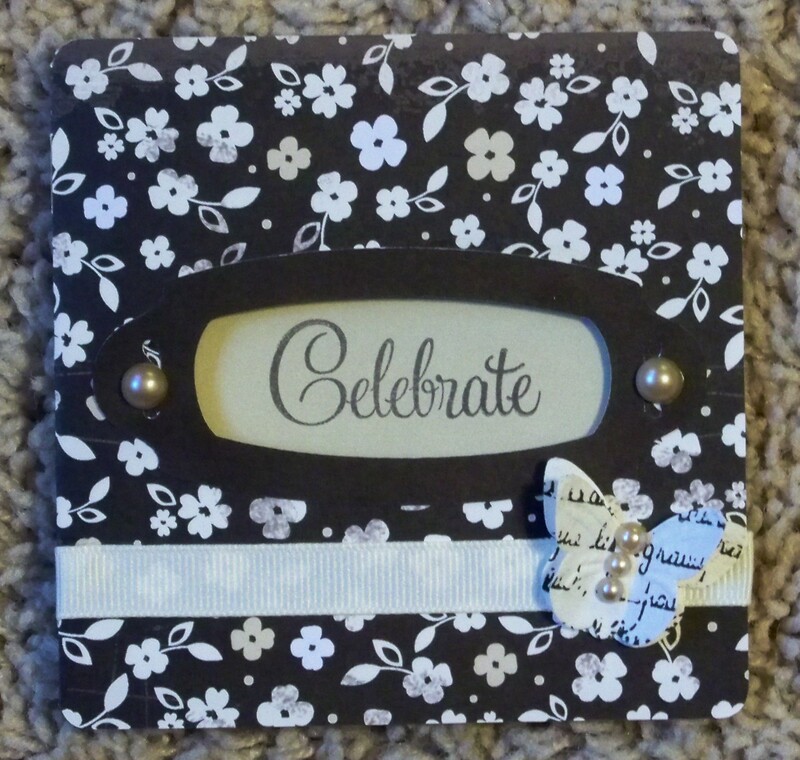 Supplies used are all Close to My Heart: Art Philosophy Cricut Collection, Silhouette Paper Packet (retired), Colonial White Grosgrain Ribbon (retired), Opaques Adhesive Gems- Mocha, Just Blooms Paper Shapes – Flutter, and Black ink. One more thing I learned is that the slits that the Cricut cuts on the card option work great to feed ribbon through for the front of the card! Now continue to Michelle’s blog for more Art Philosophy creations. Wendy K. <—You are here.